Before one month of the completion of the tenure of the last govt. Foreign Committee of senate expressed concerns over the presence of Black Water agents within the country. Committee not only ordered that record of visas issued to Americans in last three years should be produced before it within two weeks but also recommended to review the visa policy for Americans as well. This matter has been ignored and despite of passage of 8 weeks details of visas issued to Americans have not been produced before Committee. During the meeting of the committee members of the committee were informed that ex-Pakistani Ambassador issued visas to notorious (assassin) Black Water agents which number into thousands. At this committee expressed concerns and warned that it may bring motion against Foreign Secretary; it was also said that details of visas issued to Americans are necessary to be examined so that it could be known that how many agents / terrorists of Black Water are still present within Pakistan. A grave silence have been observed in the senate and Foreign Ministry after the observations of the committee but terrorist activities are still at large in the country. However terrorists have changed their targets; the professional military "master mind" behind this terrorism and strategy should be appreciated who some times targets important assets of airforce or naval air bases. This is clear that Taliban were not capable of planning and access to such targets / assets and destruction of these assets only goes in favor of India. Now when country is going through the phase of elections, summers are ahead, due to the demand in irrigation water for crops the flow from Mangla and Tarbela dam has been lowered which resulted in fall in generation of electricity; the terrorists have shifted their priority towards targeting electricity and gas distribution system. Moreover, the timing of attacks over gas pipelines in Baluchistan and attacks over grid stations in Khyber PakhtunKhwa by terrorists is linked with each other. This reinforces the concerns of Senate's Committee about presence and involvement of Black Water terrorists. 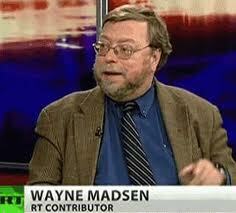 Not only this, famous US journalist Wayne Madisson in a recent interview to RT Television revealed that Black Water is involved in terrorist attacks as well as suicide bomb blasts in Pakistan and responsibility for all of these attacks is accepted by American paid groups termed as 'Taliban'. Wayne Madisson had already unveiled the involvement of Black Water terrorists in the unrest in Pakistan in his report that was published in August 2010; in this report he had disclosed that Tehreek-e-Taliban Pakistan (TTP) is an organization established and trained by America which is working under US Foreign Ministry and Black Water is conducting terrorist activities and attacks under the order of CIA in Pakistan. The remote controlled bomb blasts started in Pakistan in 80s, these terrorist bomb blasts were supported by Soviet Union, India and Afghanistan against Pakistan for supporting Afghan freedom fighters. However, suicidal attacks started after US invasion in Afghanistan especially when India was given free hand to establish terrorists training camps in Afghanistan. But the planned attacks over strategic installations started after Kerry Logger bill when USAID representatives were allowed to enter into the country. Look at the irony of the fate that with the devastating flood of 2010 Pakistan had to face a flood of foreign relief workers. How was this possible that agents of enemy had not invaded into the country disguised as relief workers; some of them were expelled from the country due to their suspicious activities. In spite of all this many agents of enemy terrorist agencies are still present in these so called NGOs which has been pointed out by Senate's Committee and has been also pointed out by Wayne Madisson. One may remember that through Kerry Loger bill Pakistan was given aid to remove poverty through social sector and it was conditioned with transparency which was apparently right but their demand that Americans themselves would distribute this aid to the poor was awkward. USA was demanding direct access to a country that has been facing war like situation since last three decades and had to maintain minimum nuclear deterrence in order to safeguard itself from India an enemy ten times bigger than itself. In order to take control of these nuclear assets or destroy them USA and its allies wanted to maintain a situation of uncertainty, poor law and order and chaos, moreover, Pakistan was also blamed for spreading extremism. In this situation in spite of rejecting American demands not only Pakistani govt. issued work permits to Americans but also provided state machinery to help them. In this campaign teachers and other employees were given a Performa consisting of 43 questions to conduct survey in different areas of the country, these questions also included information regarding ideologies and religious beliefs. This is important to mention that most of these surveys were conducted in those areas of Southern Punjab that have strategic installations and foreigners are not allowed to visit these areas. Moreover USA had been alleging presence of Punjabi Taliban while the people of these areas speak Saraiki not Punjabi. Leave aside the detailed questionnaire of the survey; why the GPS was used for mapping these areas during the survey? The staff conducting the survey was given GPS devices to geotag the whole area and in other create a full map consisting of GPS tags with detail of every inch of the region. This might be answered by experts of satellite spy systems that what could be the purpose behind such geo-survey with GPS devices besides drone attacks or attacks through guided missiles. However, this makes clear that why USA was so much interested in the Benazir Income Support Program and continued providing aid in spite of the reports of corruption. Not only this US Consulate in Pakistan have been leaving no stone unturned to increase its contacts and links in the Southern Punjab. 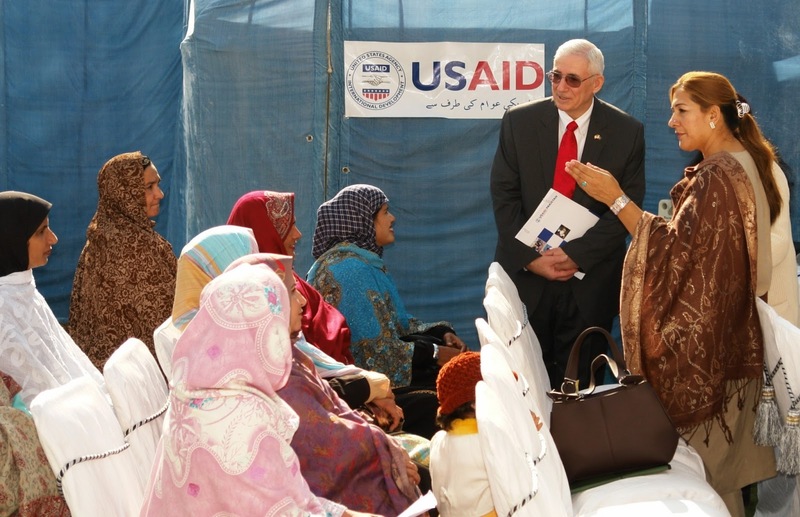 Many notables are try to convince in private meetings that USAID would result in tremendous development in Southern Punjab or other parts of the country. Their conversations show that US is spreading its roots rapidly within the area; moreover in the name of favored notables many persons from Southern Punjab have visited USA for training in the form of groups. US media itself had disclosed that Raymond Davis an agent of Black Water who was arrested in Lahore was supervising spy network in Multan, Sargodha and Faisalabad. USA succeeded in release of Raymond Davis, murderer of two Pakistanis in the public however the US network of terrorism / spy did not come to end with exile of Raymond Davis. Someone is running this network undercover and it is not necessary for him to be an American. Because reports regarding the NGOs that arrived into Pakistan under the cover of relief work in 2010 was published in the New York Times that USA had planned to distribute the aid through the subsidiary NGOs of the Black Water and for this many fake NGOs were registered out of USA in European and African countries. There is no doubt that in the way foreigners kept wandering in Pakistan under cover of relief activities or Kerry Logger Bill it seemed that they had no fear of terrorists and this is true that in last 5 years thousands of Pakistanis became target of terrorism but not a single member of any NGO or black water was killed by these terrorists (it is evident that how terrorists could kill their own bosses), this is astonishing. Although many of these foreigners have left Pakistan but still a significant number of these unwanted foreign agents is still present in the country which are linked with terrorism in Pakistan in some way. This is the reason behind the Senate's Committee to inquire Hussein Haqqani regarding the visas he issued to Americans. In such a situation this is the duty of the caretaker govt. not only to ensure transparent elections but also to expel these terrorists present in the country under cover of NGOs. Date : 12 April 2013.